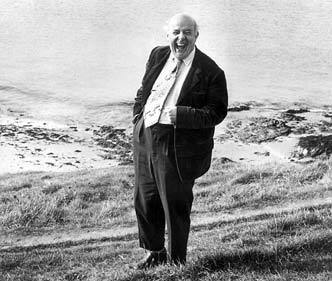 "It was impossible to imagine Betjeman ever being bored. He was interested in everyone and everything. His enthusiasm for life...was contagious." 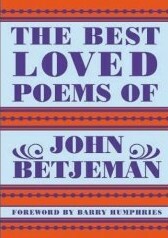 An attractive 99 page hardback book containing 70 of Betjeman's most famous poems together with an index of first lines and a continually fascinating, warm foreward by Barry Humphries. The volume is slim yet contains just about all someone seeking an introduction to J.B. and his work would wish to have. This 498 page volume contains the books of verse 'Mount Zion' (1932), 'Continual Dew' (1937), 'Old Lights For New Chancels' (1940), 'New Bats In Old Belfries' (1945), 'Selected Poems' (1948), 'A Few Late Chrysanthemums' (1954), 'Poems In The Porch' (1954), 'Poems Written After 1954', 'High And Low' (1966), 'A Nip In The Air' (1974), 'Uncollected Poems' (1982), two additional poems, and the complete 'Summoned By Bells' . In addition, there is an index of first lines and also, interestingly, an index of places. Andrew Motion provides a concise introduction, and the book itself is a thorough, organised whole, and certainly an affordable way to acquire the vast majority of Betjeman's poetical output. The only two slight disappointments are the inclusion of 'Summoned By Bells' (for me such a marvellous work deserves its own volume on the bookshelf!) and the modernist cover art which favours text over composition- the great man is visible only in part. 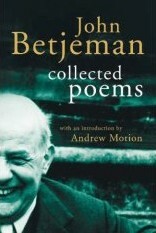 Nevertheless, the book's sheer coverage makes it worth having as a one-stop source for most of Betjeman's poems. It is an exciting moment indeed when one comes across new material by a person one reveres. 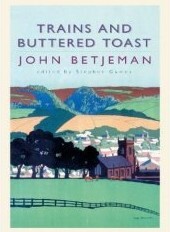 Thus it is that 'Trains and Buttered Toast' is an essential work for any Betjeman enthusiast's library, dealing with as it does the many radio talks given by J.B. from 1932 until the late 1950s. These are not mere readings, but prose accounts of feelings and emotions, all conveyed with the warm vivacity that so marks Betjeman's raison d'etre. Stephen Games provides an appropriately detailed introduction, dealing with such technical questions as why certain items were included at the expense of others. He duly points out that much of Betjeman's radio talks were never recorded in the first place or have suffered from the ravages of time, so in most cases the surviving material is purely the printed word- it is left for the reader to imagine J.B. himself speaking what is there. The talks are grouped by topic rather than chronologically, but, as each talk is fully referenced, the reader can turn to, say, talks given in 1949 without too much difficulty. The talks themselves are classic Betjeman- wryly observational, witty yet tasteful, and imbued throughout with the genuine passion for life that so marked their writer. As such, 'Trains and Buttered Toast' is hopefully the first of several such volumes, and should be an essential purchase for any admirer of Betjeman's work.